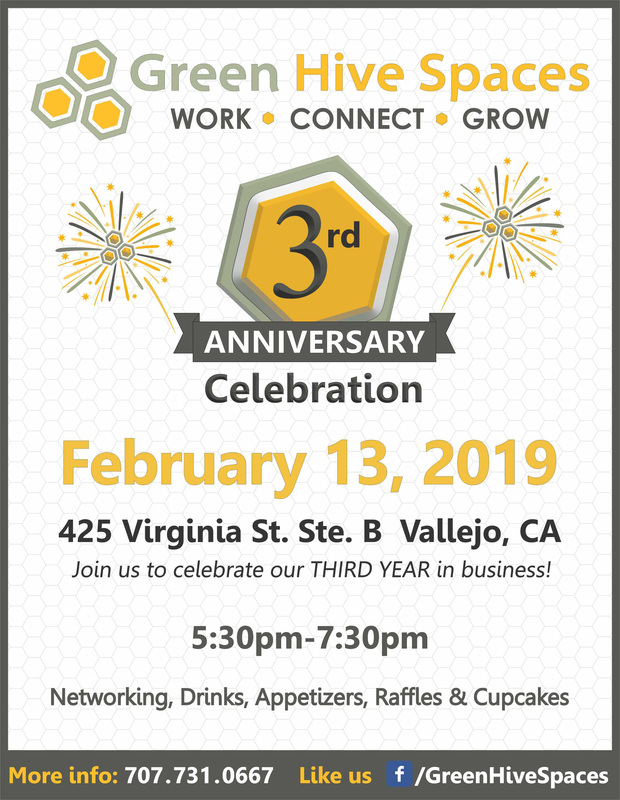 Green Hive Spaces Three Year Anniversary & Solano Hispanic Chamber mixer! Name: Green Hive Spaces Three Year Anniversary & Solano Hispanic Chamber mixer! 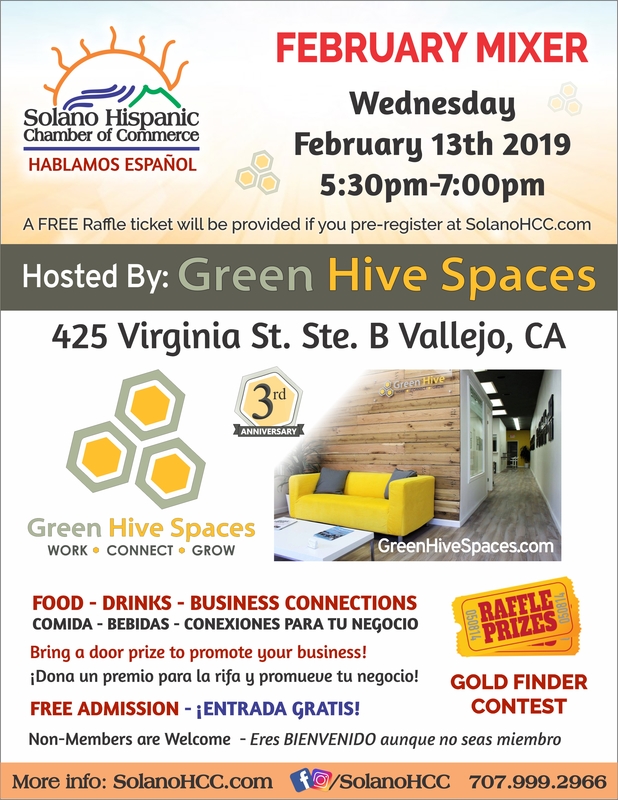 Join the Solano Hispanic Chamber of Commerce for their February Mixer and celebrate Green Hive Spaces' three year anniversary!